Unitatherium, toxodon, and horses. This is the original painting for the mural in the recently restored Hall of Prehistoric Mammals in the Lila Acheson Wing of the American Museum of Natural History in New York City. Brontotherium, toxodon, and horses, 1927. 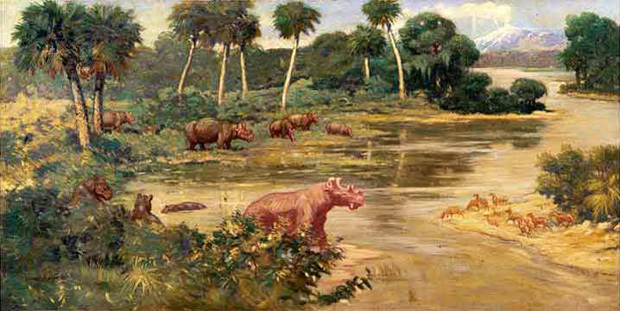 This is the original painting for the mural in the recently restored Hall of Prehistoric Mammals in the Lila Acheson Wing of the American Museum of Natural History in New York City. Megatherium, glyptodont, and camels. This is the original painting for the mural in the recently restored Hall of Prehistoric Mammals in the Lila Acheson Wing of the American Museum of Natural History in New York City. Rhinoceros, camels, and horses of the Miocene era. This is the original painting for the mural in the recently restored Hall of Prehistoric Mammals in the Lila Acheson Wing of the American Museum of Natural History in New York City. Ungulate, toxodon and proboscidean mastodon. 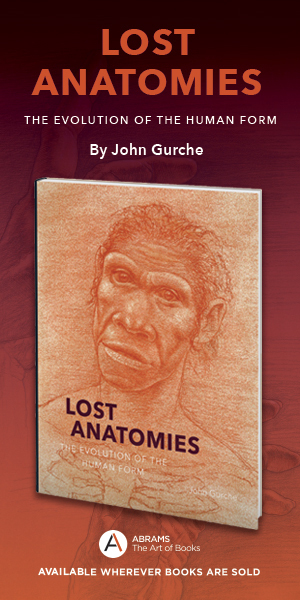 This is the original for a larger painting at the American Museum of Natural History in New York City. 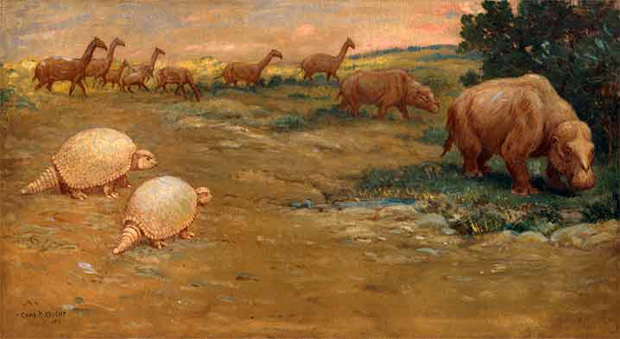 Glyptodont, camels and South American pampen mammals of the Pleistocene era, 1912. 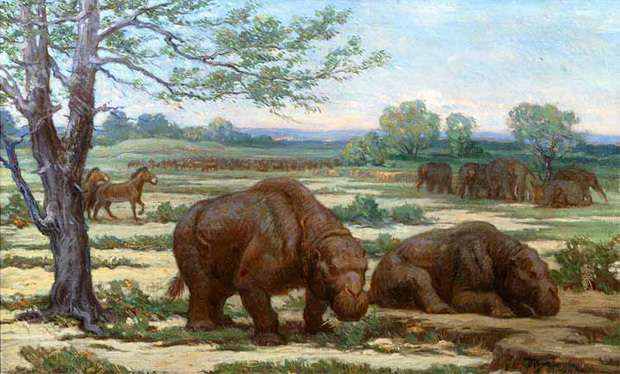 This is the original for a larger painting at the American Museum of Natural History in New York City. Carcharodon and rays, 1919. 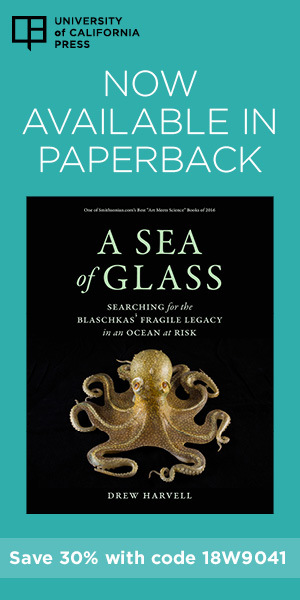 This is the original for a larger painting at the American Museum of Natural History in New York City.